Washington DC area has changed quite a bit in the last twelve years: that's how long I've lived here. Craziness. New restaurants, museums, and stores have opened, while others have closed. 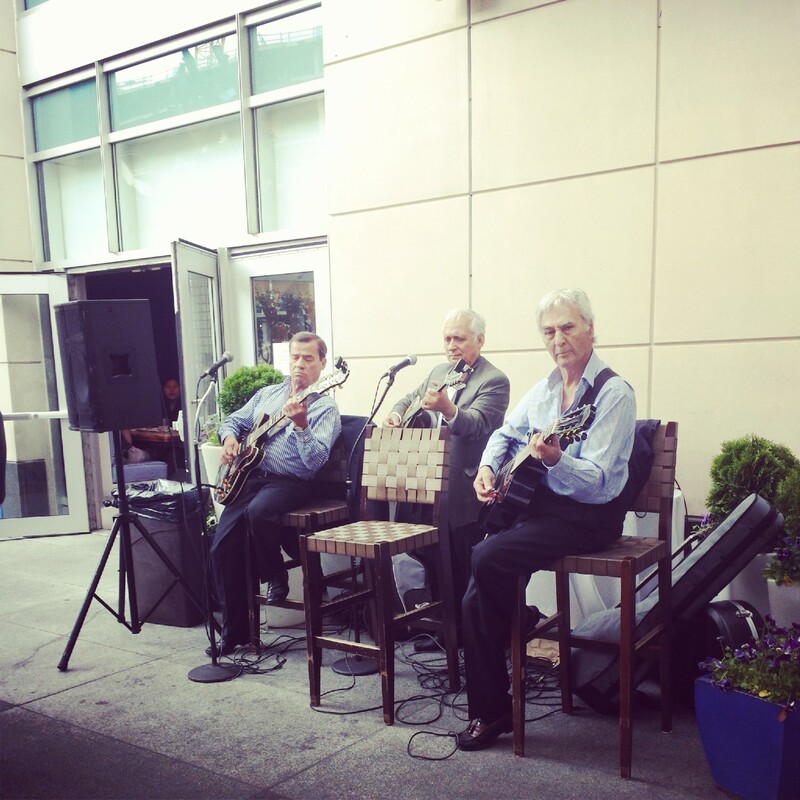 Still, there are certain places in DC that remain my favorites. Whenever someone comes to DC and asks for a recommendation of a restaurant to check out, I always recommend Zaytinya. What's not to love about a beautiful white interior with touches of blue, Turkish and Greek tapas, and a central location? In fact, my friend Dana visited from Seattle a few weeks ago and absolutely loved having dinner at Zaytinya with her mom and a friend! I LOVE it when people listen to my recommendations. 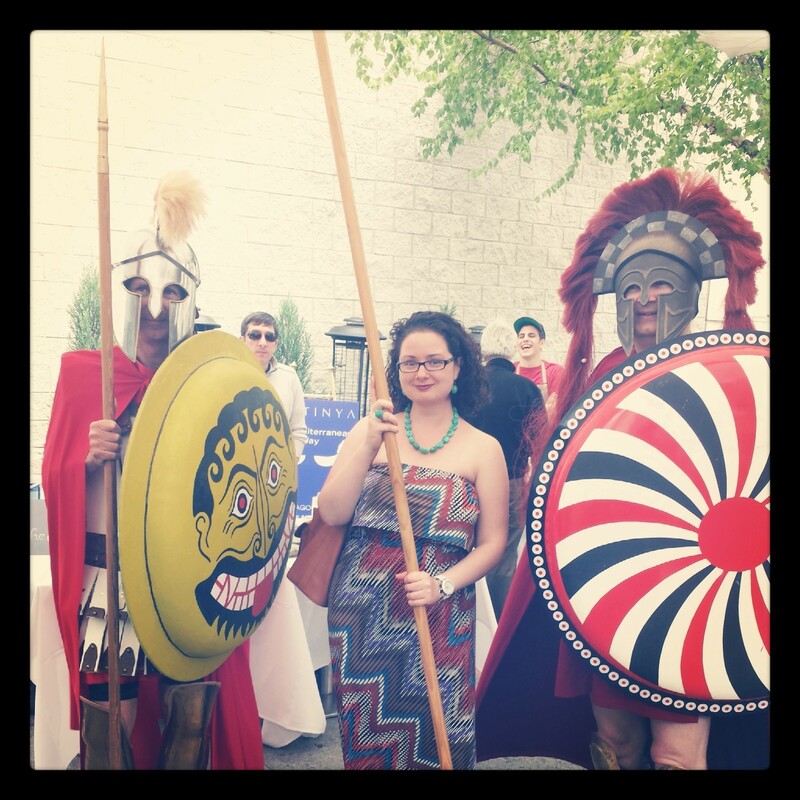 This past weekend I was invited to brunch at Zaytinya and brought along my friend Cecilia. 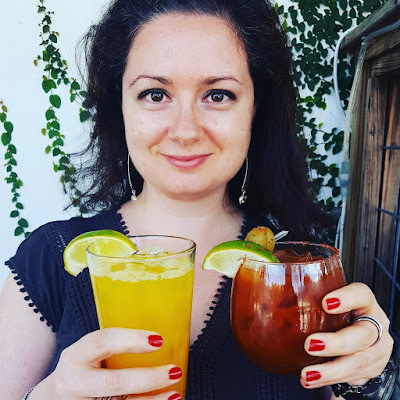 We were treated to a variety of dishes, but only our drinks and one of the desserts were from the brunch menu (mimosa for Cecilia, Bloody Mary for me). The rest of the dishes can be found on Zaytinya's regular menu and ordered any time of the day. I'm not sure when exactly I started liking Bloody Marys. Although I love anything with tomatoes, for the longest time I've stayed away from a mix of tomato juice with whatever boozy component a restaurant chooses to add. But recently I started changing my mind. 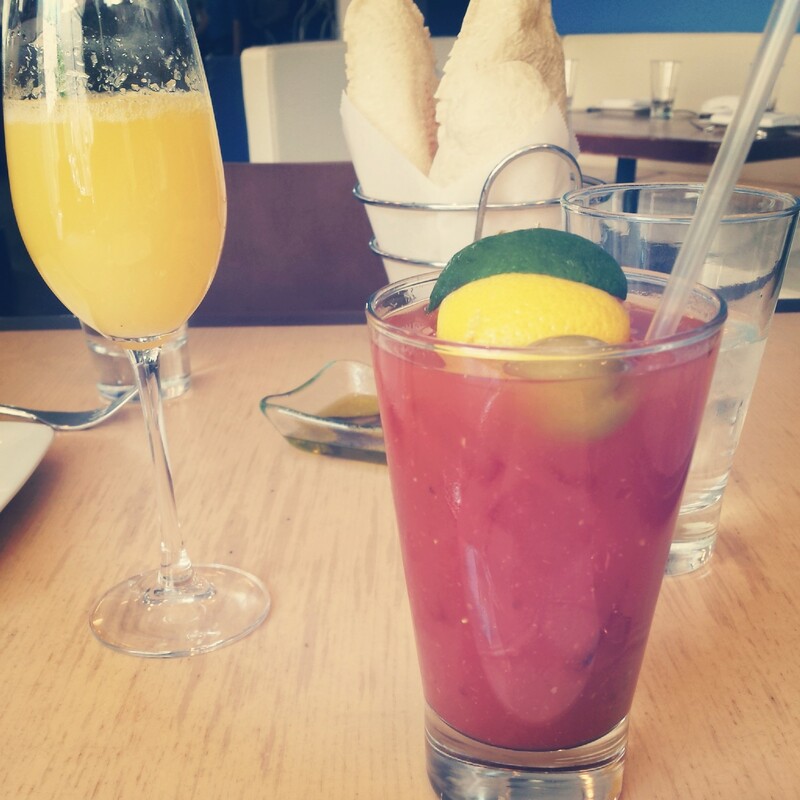 The Bloody Mary in Zaytinya is made with vodka, house-made mix and harissa water, which added a great level of spiciness. I've dined at Zaytinya many times over the years, and am always happy to see new dishes added to the menu. Some of my new favorites are below. 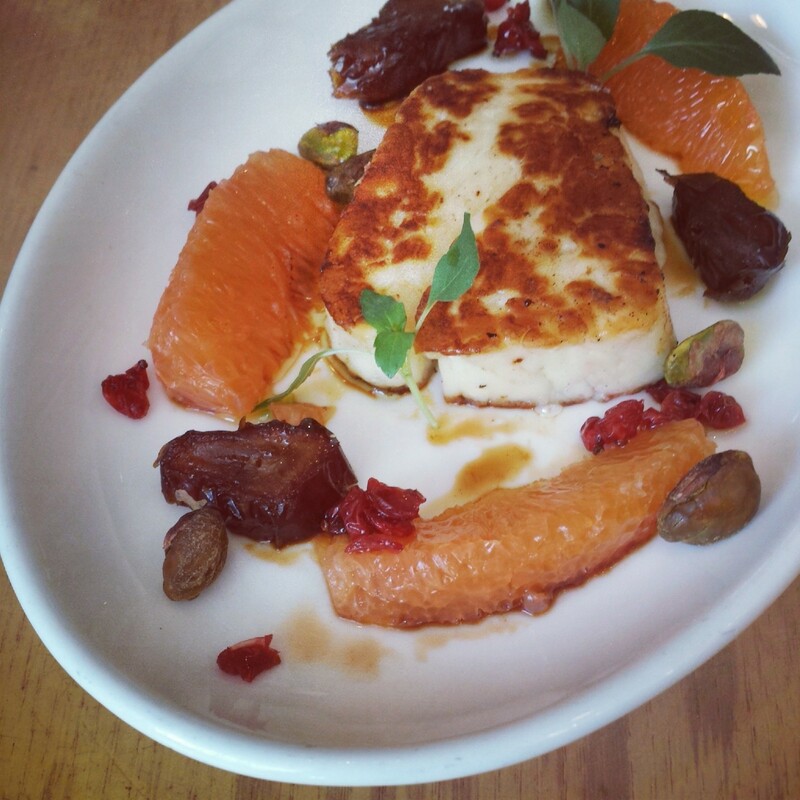 Seared halloumi cheese with Medjool dates, orange, pistachios and mint. I loved the combination of the salty cheese with the sweet dates and orange and the crunchy pistachios. Roasted asparagus with bahar-spiced labneh, crushed pine nuts and chives. 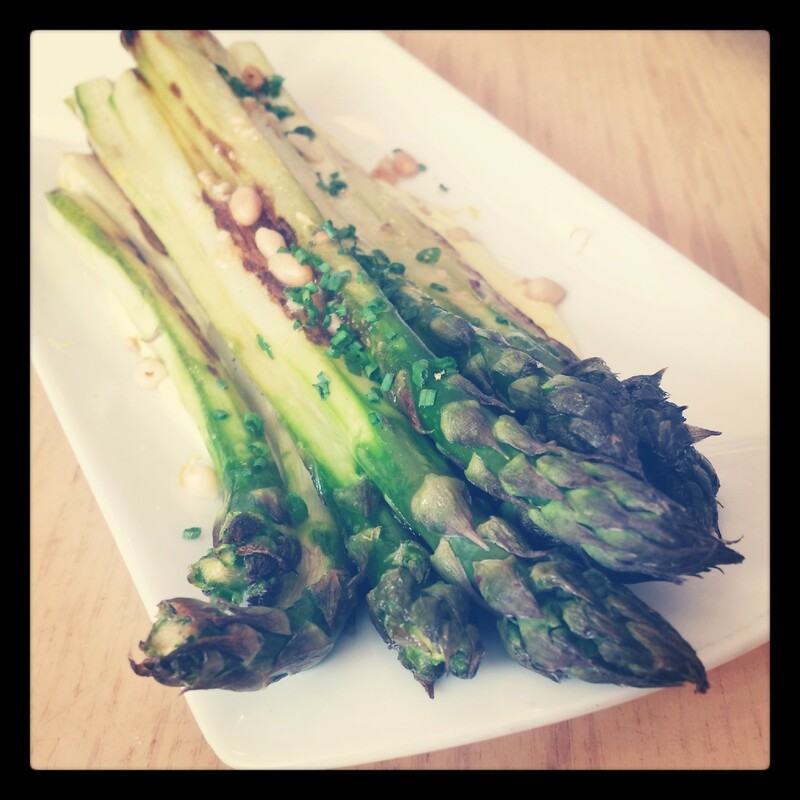 The asparagus was young, sweet and tender and paired well with the creamy labneh sauce. 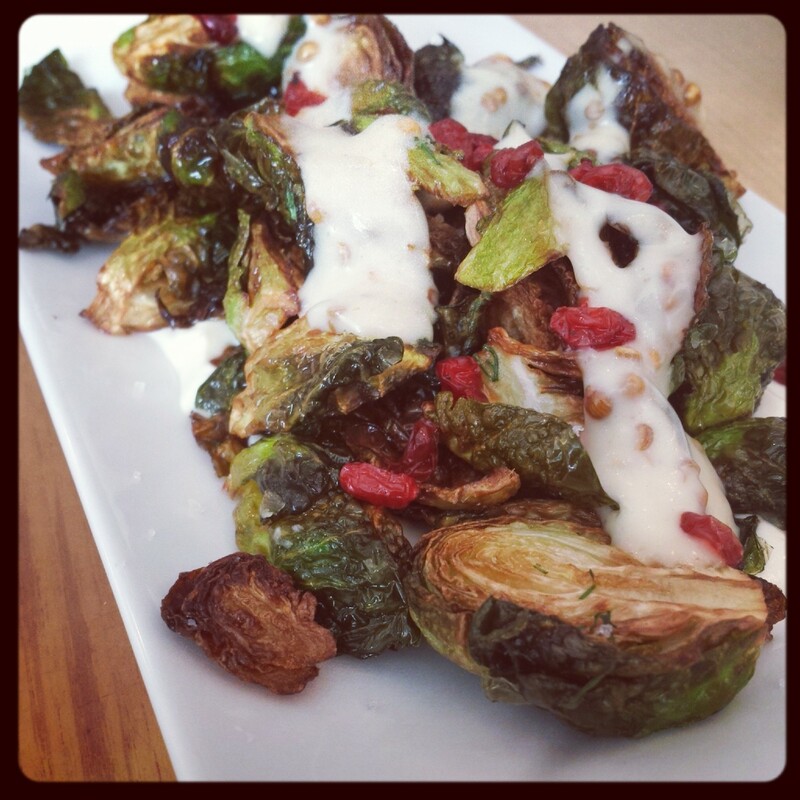 Crispy Brussels Afelia with garlic yogurt sauce and barberries. Zaytinya pretty much has Brussels sprouts on the menu year round, but the dish got a lighter remake for Spring. 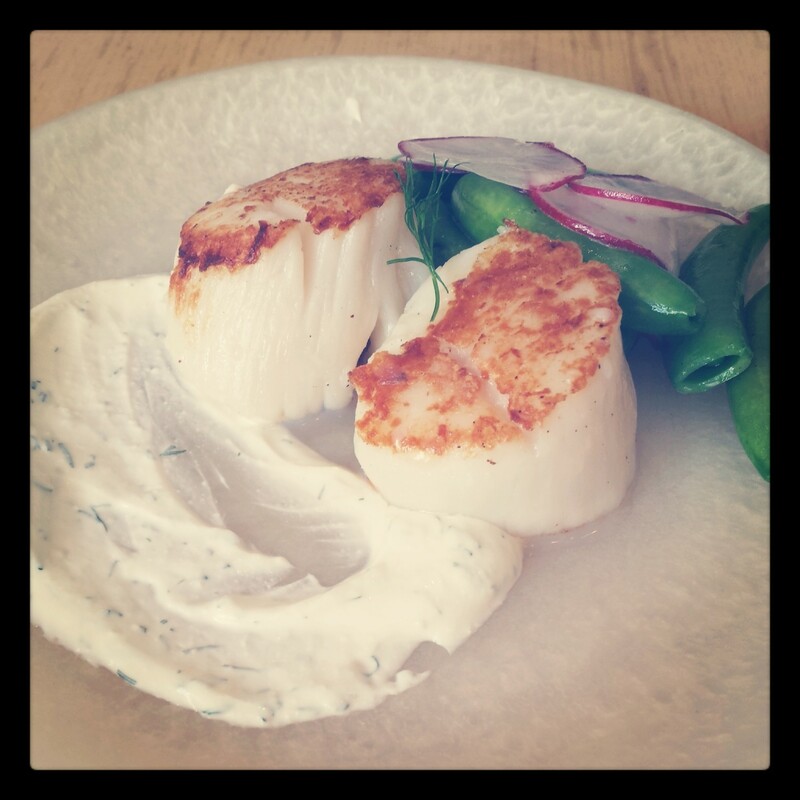 Sea scallops with dill yogurt, sugar snap peas and radish. The scallops were tender and sweet (just like asparagus!) and you know I love anything with dill in it. 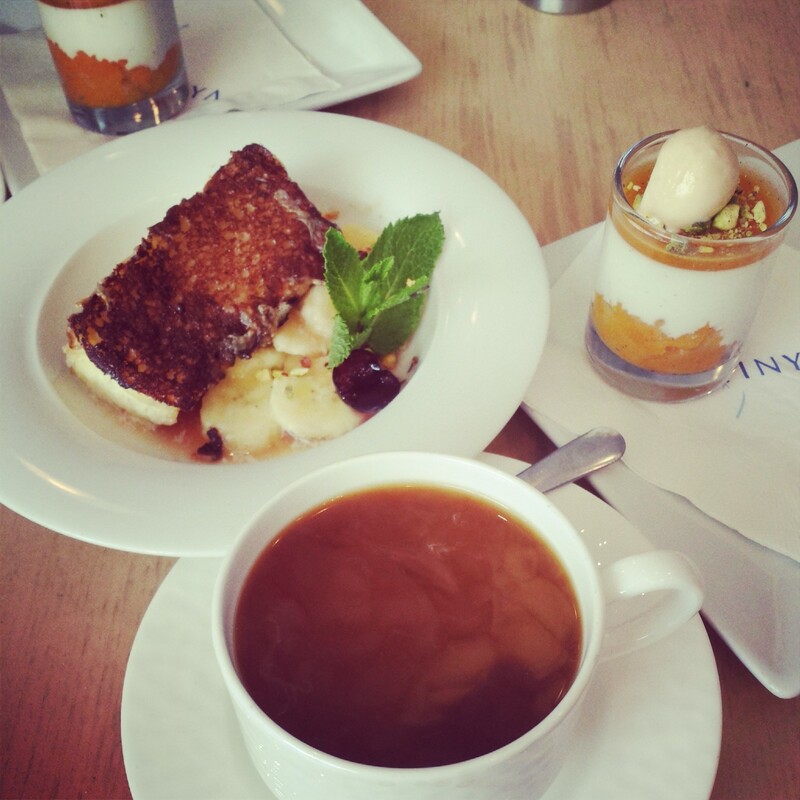 We also tried a sweet dish from the brunch menu: Ashta (traditional Lebanese-style French toast with bananas and orange blossom honey). If you love bananas, honey and orange water, this is a dessert for you! I loved the silky interior texture of the French toast and the crispy crust it had: wonderful contrast. Disclosure: Zaytinya invited me to brunch and picked up the check. Cecilia and I left a tip to our server. All opinions are my own.